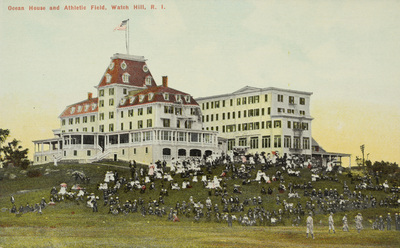 "Ocean House and Athletic Field, Watch Hill, R.I." by Rhode Island News Company, Providence, R.I. Ocean House and Athletic Field, Watch Hill, R.I.
Rhode Island News Company, Providence, R.I., "Ocean House and Athletic Field, Watch Hill, R.I." (1915). Rhode Island Postcards. 448.